The Friends of the Carrollton Public Library has had a great year in 2017 and 2018 so far. Our board president, John Butzow, details the highlights of the year in the President’s Annual Report. In the past year there have been numerous highs and lows which I will try to report briefly. A year ago we welcomed two new Board members: John Butzow and Teri Guill as president and membership chairperson, respectively. Sadly, this past year we also experienced the loss of longtime devoted Friend of the Library, Cora Suksumrit. With Sue Hudibergh’s assistance in the transition and Teri’s commitment, the FOL website underwent a renovation and transition to a new hosting site. Teri’s other efforts included redesign of the FOL book bags, bookmarks, FOL logo, and book sale flyers. The biannual book sales continued as the primary focus of the Friends. Many hours were spent each Saturday sorting and boxing donations as well as preparation in the weeks leading up to each sale. The book sales contributed approximately $9,000 in revenue this past year, which is being used to fund various library children and adult activities. The partnerships with Kroger Community Awards and Amazon Smile continue to provide revenue from members’ participation in those programs – more information is available from any FOL board member for those interested in getting involved. In addition, our partnership with Texas Book Consignments provides a significant revenue stream each quarter, the most recent amount exceeding $1300. This past year FOL and the CPL launched the Sir Reads-a-Lot fundraising promotion, whose intention to spur financial support for the Library through recognition of patrons giving on an annual basis. This program is in initial stages and hopes are for increased visibility for the Friends of the Library and promoting the need for community support of various library activities. 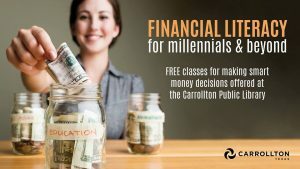 This summarizes the work of the Friends of the Carrollton Library during the twelve (12) month period from June 2017 to June 2018. 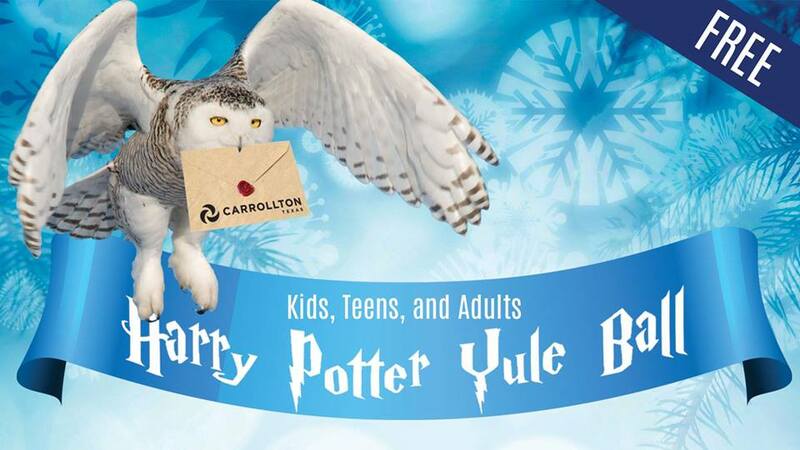 The Friends of the Carrollton Public Library has a new look! We’ve got a new logo, a new website, and some other new things in the works. Stay tuned for more to come in 2018!